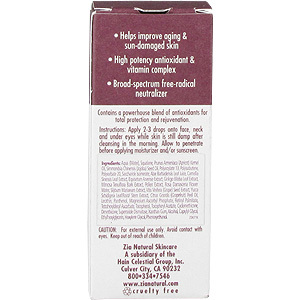 Ultimate "C" Serum uses more than a dozen potent antioxidants combined to protect and restore stressed skin. This synergistic blend of vitamins and botanical damage-fighters promote collagen and elastin production while correcting sun damage and visible signs of aging. Ultimate "C" Serum contains Aloe and Algae Extracts to stimulate circulation and help heal inflamed, irritated or sunburned skin. 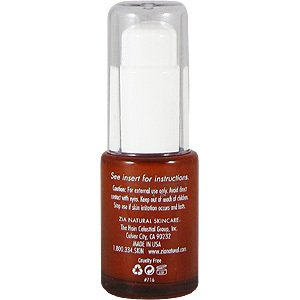 Ultimate C Serum - 0.5 oz., (Zia Natural) is shipped in a discrete, unmarked package. Orders are processed immediately and usually takes about 3 to 5 working days to be received. We do ask that you try it for 2 to 3 weeks to feel the full effects. Any information received is used only for order processing and shipping purposes. Your information, such as e-mail address, will never be disclosed to a third party.